The HCH aids in the restoration of the Hahnemann Monument in Washington D.C. 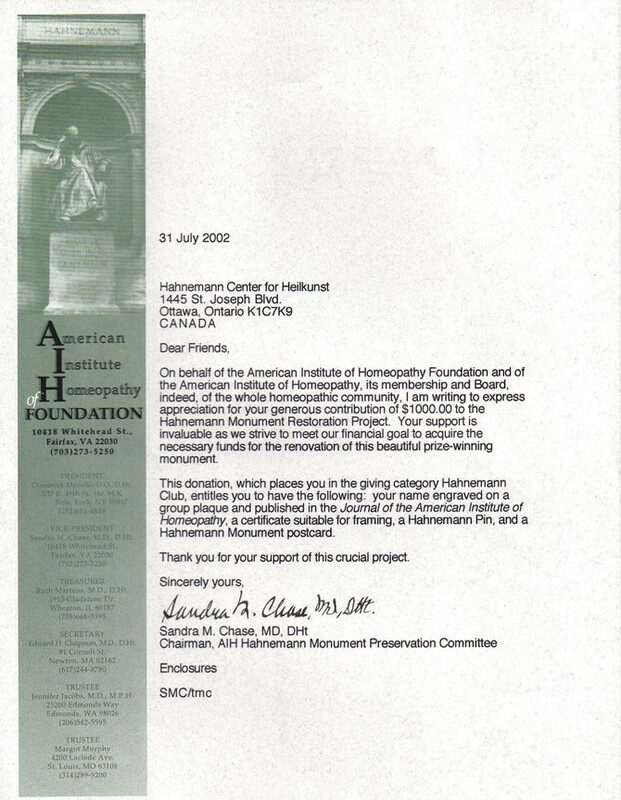 The HCH received a letter1 and certificate of appreciation from the American Institute of Homeopathy. Details of the restoration project are available from the official site. 1 Letter of appreciation from the American Institute of Homeopathy.